The International Monetary Fund is in the news again for scandals of a more personal and dubious type—the arrest of fund chief Dominique Strauss-Kahn over allegations of sexual assault. This comes at a time when the IMF can least afford to be embroiled in political scandals—the global recovery is tenable at best, and the combination of rising prices, declining credit, and falling faith in fiat currencies is becoming a cocktail for disaster. But this does give us a great opportunity to help people understand what the IMF does, who pays for it, and how it works. The Fund has deposits from member countries – commonly called “quotas” – totaling some $340 billion, with additional commitments for about $600 billion from member governments should the funds be needed. Quota requirements are determined by the size of the member country’s economy. So the United States, with a $14 trillion GDP, is the biggest contributor with about 18 percent of the quotas. And what do they do with all that fiat currency? To answer that, we need a little history lesson. You can think of the IMF sort of like a credit union for countries… Its members — countries from around the world — put money in. And the credit union lends that money out to members that need it. This makes the IMF sound all warm and fuzzy. And for several decades after the IMF was created at the end of World War II, it was pretty warm and fuzzy. At that time, the world’s major currencies were fixed — a dollar was always worth the same amount of British pounds, the same amount of French francs, etc. (This is a bit of an oversimplification, but it gives the basic idea.) This was known as the Bretton Woods system. 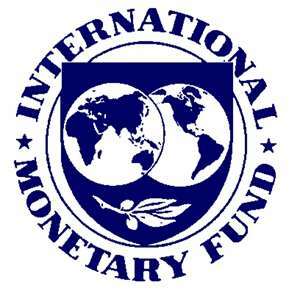 During this time, the IMF made short-term loans to help countries keep the value of their currency fixed. Once Nixon pulled the plug on the gold window, and the Bretton Woods all but collapsed, the dollar and the International Monetary Fund still held important roles in global trade and finance. It was like a magician pulling the tablecloth off the table without moving the dishes—the United States and the International Monetary Fund remained lynchpins in world trade even as the world was viciously yanked off of the gold exchange standard. The IMF then spent several decades making strings-attached loans to poor countries during financial crises. The strings made these countries follow IMF rules on lending, borrowing, and spending. But over the years, countries learned to avoid IMF loans like the plague and developing nations began stockpiling their own reserved—self-insuring against financial crisis in an attempt to reduce the need to draw on strings-attached IMF loans. As of late, the IMF has spent a lot of time patching up the Eurozone with ad hoc loans, bailouts, and backstops for profligate Eurozone members, like Greece. With IMF help, Greece has dubiously claimed that it is still solvent and only needed short-term loans to solve liquidity problems, but with the IMF teetering, will Greece be sent into a tailspin? Hopefully, the world takes this opportunity to learn a little bit about the IMF, and its corruption of free market money and free market capitalism. Bailing out corrupt governments and central banks is similar to bailing out investment banks and auto manufactures, albeit on vastly larger scale—the differences is, nearly every single person in the world pays the IMF tabs.